Google Pay, the search giant’s digital transactions firm, is planning to introduce Gold-backed investment plans for its customers. Though the new feature is yet to be formally announced, an updated clause in the company’s terms and conditions page, spotted by data platform Paper.vc, has tipped off users about Google’s plans for future in India. The service named Google Pay Gold services will allow its customers to purchase, sell and invest Gold using the application. 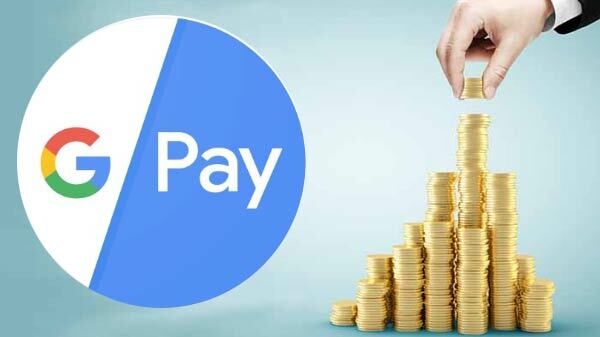 “Google Pay provides a technology platform to MMTC – PAMP (“MMTC”) to offer for sale, delivery and repurchase of Gold and other related services by MMTC to the Customers. You agree and acknowledge that the terms and conditions available at “MMTC Terms” govern your Gold Accumulation Plan (GAP),” the terms page noted. New Delhi-based MMTC-PAMP India Pvt. Ltd is an internationally recognised metal and mining service provider. The company is a joint venture between Switzerland-based bullion brand, PAMP SA, and MMTC Ltd which is a Government of India undertaking. Google also made further clarification that the company will not have any liability to its users in relation to their gold account plan. According to Google, the users can set up their gold account by undergoing the two-factor authentication as may be required by Google, comply with the registration process prompted by Google on Google Pay, and in compliance with the Know Your Customer (KYC) requirements as may be mandated by Indian laws by government bodies. Additionally the customers will have to submit a copy of their PAN card for cumulative lifetime purchases or in case of initiating any transfers of INR 50 Thousand or above. With this entry in bullion market Google Pay is taking its competition to a new level with competitors like PhonePe and Paytm. In April 2017, Indian online payment unicorn Paytm had announced its partnership with MMTC-PAMP and launched its Digital Gold service. This enabled its users to buy gold online and store it in MMTC-PAMP’s vault for free. The services also allow the Paytm users to get their accumulated gold delivered at their doorstep in the form of minted coins. After that further in December 2017, Flipkart-owned Phone Pe also made a strategic partnership with SafeGold and launched its digital gold product. The service allows users to buy and sell authenticated and certified 24-karat gold via the PhonePe app. In last year one year Indian Online marketplace is gathering pace and Paytm, Phone Pe and Google Pay are dominating the online payment segment in India. As of January 2019, Paytm recorded 221 Mn online transactions while PhonePe and Google Pay clocked nearly 220 Mn transactions respectively.